You wouldn't buy a melon without "thumping" it first. Nor should you choose a real estate company without checking their testimonials. Selecting the right real estate company is essential to ensuring a smooth transaction, whether you're buying or selling a house. Read customer reviews about M.S.WOODS Real Estate, L.L.C., and find out what makes M.S.WOODS the best realtor and our agents the best real estate agents in Indianapolis. Bryce Higgins was wonderful to work with when I sold my townhouse. He was very professional and attentive, and he was easy to communicate with when I had questions. Bryce listed my house promptly and was immediately able to generate interest in my home. I had several potential buyers within a week, and ultimately sold my house for more than the asking price in just a few weeks. I would highly recommend Bryce Higgins for your real estate needs. Brittany is very professional with extensive knowledge in this market. Very service oriented and a person of great integrity. She negotiated our transaction with clients in another country and met some unusual demands and timelines." Top qualities: Great Results, Personable, High Integrity. "Brittany is an outstanding real estate agent. She gives her clients 110%. She is an outstanding negotiator and will work to make sure her clients get the best outcome possible. I have recommended her to several of our friends and they have been very happy with her and the results she's achieved for them"  Marianne Glick, Board Member at Eugene and Marilyn Glick Family Foundation, United Way Chair 2011 & 2012. Bev is an absolute delight we love her! She is friendly, honest, hard-working, encouraging, and personable. We were nervous to work with a Realtor, but Bev was very patient with us and never forced us into a house. We are first time home-buyers and did not know anything about the experience. We looked at thirty-forty houses over the course of about a year. Bev coached us through it and helped us to find the perfect home. Bev is determined to get you the home you love, no matter what it takes. She will go up to bat with you, and is not afraid to be assertive with other parties involved. She also frequently goes above and beyond the call of duty; you can ask her for help on anything. Bev is also open to feedback, and doesn't get angry if you tell her no. You can be honest about how you feel, and she always respects that. She will gladly offer help in any way she can, and was on call every day. She even took our call on Christmas Eve, due to an issue that was beyond her control. She also closed with us the day after Christmas. We would HIGHLY recommend Bev to anyone, especially first-time home buyers. She is fantastic and if we ever move (which we're not planning on), we will use her again. We loved working with her. This was my third home purchase, but my first experience working with Damian. With a tight timeline to find a house while managing my busy work and travel schedule , Damian's professional service and care went far beyond what I ever expected. The stress of house hunting, negotiation and closing was reduced because Damian not only was available but continually acted as an advocate . As a client, he kept my best interest as the priority, not the sale. He listened and understood what I needed but was also clear and firm in advising and negotiating. It was not an easy deal to get closed and he handled every obstacle leading to closing, much of it while I was out of the country. I could not have done it without him. Damian deserves the highest recommendation for his professionalism, genuine customer care, and negotiating ability. The best part-I love the house.  Statia M.
Beverly was a pleasure to work with. I was very impressed with her extensive knowledge and bright demeanor. Beverly did a wonderful job of locating appropriate properties within my budget and helped ensure a flawless closing. I would work with Beverly in the future for my real estate needs. Beverly held our hands through the home buying process. Her patience, knowledge of the business ,and expertise was insurmountable. We are first time homebuyers and by listening to our wants and needs, she helped us find our perfect house. Beverly was available day and night and answered all of our questions. She was truly a Godsend and we have already referred her to family, friends, and coworkers! She would be my only choice in the future! First, and foremost, thank you, Bev! I had been searching for my first home for close to a year. Three realtors later, Bev is the lady that helped me find a home I love in an area that is right for me. � She listened to my wants and needs, and helped me to make a balanced decision. Bev is patient, well informed and vigilant, and the process ran very smoothly. I could not have been more fortunate to have Diana as my realtor during my home buying escapade. She was caring, knowledgeable, patient, informative, organized, respectful, diligent, always available, amicable, and consistent. She immediately put me at ease - from day 1.  Jill S.
Kathleen helped us find and purchase our first house. She was patient with us as we toured a variety of houses in many areas throughout the Indy metro. She was knowledgeable, professional, and extremely easy to reach, and extremely quick to respond to email, text and phone calls. She really was great to have once we were ready to put in an offer, and her negotiation helped us get the house we wanted on our terms. Going with Kathleen means she will share part of her commission with you, which is an amazing incentive! We used ours to help pay our closing costs. I'd recommend Kathleen as a buyer's agent to folks looking for houses in the Indy metro. I am not one to write glowing reviews. Bev, however, is an outstanding realtor. We were out of state and looking for a condo downtown to buy. We had very specific location and price range. She was patient for a year as we slowly looked and considered units. She knew our needs and was willing to be just as patient as needed and do whatever we needed. Once a unit in the building and location that we wanted came open she was there within hours for us. She took pictures, checked its status, organized an inspection, and made an immediate offer and kept close contact with the listing agent (there were other offers and she made sure ours stayed first in line). Our initial lender was very slow and Bev made sure the buyers did not lose patience. She also made a few phone calls and switched us to a new loan officer and bank which was then perfectly smooth and fast. We had never met Bev before this buying process. We grew to trust her enough that we bought the unit through her eyes and we signed documents to allow her to sign all closing documents for us. There is no detail or communication that will ever slip if you have Bev as your agent. We recommend you find Bev if you are in need of a realtor. You will be highly satisfied. I have worked with Kathy over the last 15yrs to buy and sell a few houses for my family in Fishers, Carmel, and Westfield. She quickly became my go-to realtor when we first met. I sensed she was honest, trustworthy, and caring. She has always looked after my family's best interest by finding the right price point for the house we were selling and identifying important factors for our future home. Having purchased 3 other homes previously with other agents, we were blown away at Brittany's dedication, knowledge and professionalism. She was patient with us as we looked at nearly 60 homes over the course of 7 months until she found us the perfect house. She is relentless in fighting for clients to ensure no detail is overseen. I cannot speak highly enough of Brittany! Thanks!" Beverly was a dream to work with. She listened to what we were looking for and needed but also kept us under our top price point!! Anytime we had questions she was there with an answer. She helped us find the perfect place within a 1.5 month time frame. We would absolutely recommend that you work with Beverly to find the next home in your adventure. Suzanne was awesome to work with! I've worked with other realtors, but no one else made me feel like I was a priority. She was professional but personable, knowledgeable about the areas I was looking in, and didn't hesitate to share an honest opinion. She made sure I ended up in the home and neighborhood that fit me best, and one that was going to retain or grow in value...something a first time homebuyer doesn't always think about. I've recommended Suzanne to my family and friends because she really made the experience easy, she showed me anything and everything I wanted to see and had lots of suggestions of her own, and even though I didn't have much in the way of a budget, I feel like she truly cared. I can't thank you enough, Suzanne!!! Brittany was amazing! Her attention to detail and timeliness of responses was like no other realtor I have ever worked with. Brittany does the research for any question you may have, and emails the results of her search to you within hours. We had some long search days, and she always had drinks and snacks on hand! After our move, we encountered some problems with our home that was missed during the inspection, and Brittany reached out to the respective parties involved and the problems were corrected immediately. I would definitely recommend her!" Diana is absolutely the best realtor anybody could ask for!!! She is super friendly, and very accommodating to your schedule. She not only listened to want I wanted, but also want I needed to feel secure in a very scary purchase like this. She helped me understand the process while we searched to find the most amazing house for me. And we did it! It's perfect size wise and price wise, it's just perfect for me! And she helped me through all the craziness to make sure I was comfortable and happy! Thank you Diana for everything! I love my house and without you I don't think it would have happened! :)  Holly W.
My husband and I loved working with Diana. We had the pleasure of working with Diana to not only sell a home in Fishers, but she helped us to find our new home in Cicero. Diana knows the real estate business and that shows from the creative ideas for selling a home quickly, her prowess in working with listing agents, and her impeccable customer service. We were not the only sellers and buyers that Diana was working with at the time, but she sure made us feel like we were. I would be more than happy to recommend Diana to anyone looking to buy or sell. On the buying end, Denny spends a lot of time getting to know you to find out what home features are most desirable to you to find homes available that will fit your budget and style. When selling a home, Denny goes the extra mile. Since most people view listings online, Denny takes numerous photos to make sure the listing will be perfect. When compairing a listing featured by Denny versus another agent, you will notice his photos are vivid, high resolution, the rooms are true to size and square, and colors are accurate. Your mistake would be not to hire Brittany. Our neighbor sold their home quickly several years ago with Brittany and she always has very positive reviews. One of our better decisions in life when we listed with Brittany - and yes, she sold our home in a matter of a few short weeks at a very good price. She was always quick to respond to our concerns as well as the buyers agent. Professional in every way and a great decorator too! We have another investment property we hope to sell quickly and will of course hire M.S Woods to get it done! Bev is the type of real estate agent who genuinely cares about her clients' needs. She works hard to ensure that she finds just the right home for her buyers. Highly recommend! Bev is simply the best! She has gone above and beyond for me throughout both processes of buying and selling a home. I was selling my home from out-of-town, and Bev made the process painless. She checked on the property, organized repairs and maintaince, and consisently kept me in the loop. She also gets things done quickly and effectively, and always reachable. I can't recommend her enough! Kathleen worked with me to identify potential properties in Indianapolis. She is a diligent, hard-working professional whose attention to detail and level of responsiveness is unlike that of any real estate professional with whom I've ever worked. I've recommended her to others and will use her again in the future. We were given Diana's contact information from a friend when we started the process of selling/buying. After meeting with Diana she cam to our home for a tour and she discussed what she thought we need to do to "stage" our home for sale. At the end of our first meeting in our home she offered a plan for sale which I never would have thought of. She checked in with us a few times to see how our to-do list was coming and scheduled our pictures (taken and edited by Diana). She listed our home right before a weekend (Thursday) and setup an open house that Sunday afternoon. We have a little one at home so cleaning up and being gone for a few hours at a time was going to be a hassle during the process. Diana's plan was to have the open house first and then schedule any additional private showings after that. Between 1PM and 5PM that Sunday we had 22 people view our house and had a couple offers that day. By Monday we were able to stop the showings and start working with the offers we had received. Diana once again informed us of our options and let us know what direction she thought was best. She sent out a request to only send the "highest, best" offer and we would decide from there. I think all total we had 8 offers to choose from and Diana did the math for us one evening to show what the end result from each offer would be. During the whole process she was very professional and also took the time to understand who we were and what our goals were. As I stated above, we had a one year old at the time so many times we would have to work with Diana after he went to bed and she was and has continued to be available when it worked for us and never moved or rescheduled an appointment. Although we are happy were we are now I look forward to working with her again and being able to pass her info along as soon as we know of someone looking to buy/sell in the future. Bev is very knowledgeable about the Indy communities, and was patient with us in finding the new home. She took time to understand our needs and preference, and it didn't take long at all for us to find the right place. She listened and helped in the whole process with highest level of professionalism. Bev is also a very cheerful and positive lady, which makes the whole experience more enjoyable. Highly recommended. Suzanne was very helpful during the process of buying and selling our homes. She was readily available to schedule showings and kept us up to date on all showings and offer negotiations. She is knowledgeable of the Indianapolis area and helped us find exactly what we wanted. She is good in negotiation and estimates what's the house value and truly dedicated to each customer. She understand your needs and provides the houses where you can afford. Excellent communicating and work through documents and suggestion for mortgage. Bev is amazing! I was looking for my house by myself with no family around, and she walked me through the home buying experience and answered my endless questions. She showed me a lot of houses and she provided honest feedback about the houses we saw. There was no push, just patience! I went to look at washers and dryers I had no idea what my connections were, and Bev swung by and took pictures for me within 2 hours of me asking! I even had some questions after buying the house, like how do I get a trash can from the city, and she helped me with that as well! I could not have found anyone better to help me with this process. "We never thought we could own a home, but Jason made it happen." I had the pleasure of working with Brittany Woods for the sale of my home in Fishers and purchase of a home in Carmel. This was in 2012 and she was extremely helpful, prepared, and knowledgeable about the market place. I have full confidence in her abilities and is an expert in her field. I am also very impressed with her referrals from mortgage companies, etc. and was been very pleased with the whole process. In fact, my father has used her as well as my brother and we all had highly successful experiences. You will not go wrong with using Brittany Woods as your realtor." Purchased 2 homes with Diana and she is legit! Doesn't force you into thinking one way or the other and is tireless when trying to help you find the perfect home. She is also very accommodating with being available around our schedule and is extremely knowledgeable in the industry. She gave us proper direction when it came to getting our house ready for sale to a point that we received multiple offers the first week we put it on the market. Truly appreciate what she did for us! I first met Kathy when I hired her to help sell my house. It had been on the market for months with little interest. Kathy made immediate recommendations (paint, price, etc.) that resulted in showings and a quick sale. I was so impressed, I hired her to help me buy a few months later. She knew my tastes and helped me get the house I wanted...and now love. I've recommended her to friends and everyone adores her. She's fabulous! I've used Kathy on four deals (two selling and two buying). Regardless of which side of the fence she's on, she's taken great care of us. Her negotiating skills are masterful, to say the least. I've recommended Kathy to friends and family and so far, no one has been disappointed. I highly recommend Kathy!  Candy Irvin, VP Portal Operations at NIC Inc. When my husband and I started looking for houses we told Denny what we wanted and didn't want . In turn Denny showed us houses that met our criteria and we found our perfect home. This was a first for both my husband and I and we counted on Denny's expertise to guide us and make us away of the process. Denny was amazing at keeping us in the loop with what was going on with the seller and accommodation our schedules as we work opposite shifts. Anyone looking for a home I would recommend working with Denny. He is honest, knowledgeable, friendly, open minded and professional not to mention he respects your decisions on a home. If you say no just because it doesn't feel right that's fine he will find the right one for you. We never thought buying a house would be so calm but thanks to Denny it was amazing. My husband and I were so very impressed with Kathleen. She got back with us immediately after we sent an email to her agency and arranged showings the next morning. She was so honest and real that we immediately connected. Although we have not bought yet in that area (we live out of town), we will commit to Kathleen for any real estate needs we may have in the Indy area and would recommend her to anyone!! "She sold my house within the first day she was there for me any time of the day. She is very professional and and honest. I would recommend or use her again at the drop of the hat"
Did an outstanding job, selling our house quickly for a great price. I highly recommend her to anyone looking to sell their home! She worked hard to move our house quickly. We found her by seeing another house nearby getting sold quickly by her. From initial contact to closing (and even after that!) Beverly provided the warmest interaction, the most efficient processes, and the BEST negotiation skills I could have asked for. I recommend her for anyone who is new to the process, who has lots of questions, and who needs an honest opinion. She was a blessing during this whole process and I will only use her in the future. Beverly is a great realtor! I have already referred my friends/family to her. I could certainly tell on numerous occasions that she is very experienced! The process for buying a home can be overwhelming at times, but I never experienced that with her. Flat out impressed with the entire experience! Being a first time home buyer can be intimidating, especially in a seller's market. We were so grateful to have Bev by our side.The minute we found our house, she was on top of it and we couldn't be more thankful for all of her guidance and tenacity with the home buying process. She is always quick to respond to any communications and is easy to trust, which was important to us. We appreciate everything she did for us. Beverly was wonderful! We encountered some unique zoning issues with our home and Beverly could not have been more helpful and accommodating. I felt like I was working with a friend who happens to be a real estate agent. She was always available for questions, advice, and support. I cannot say enough good things about my experience with Beverly and recommend her to anyone buying or selling a home. Thanks to her my family has the perfect house! I was a first time home buyer, and Mrs. Goldstein guided me hand and hand all the way through the process! She is very resourceful and knows what she is doing. Bev, my fianc�, and I had quite the adventure. She helped us find the perfect home for us! Thank you so much! Kathleen was great to work with! She's very attentive, personable, knowledgeable and she kept us up to date on all of the latest listings. She really listened to what our interests were and paid attention to the details. We ended up finding our absolute dream home in less than a month! To top it off, her negotiation skills got us an incredible deal. We were very pleased and highly recommend her services! Chris was amazing to work with! Very professional yet still personable. He had the utmost concern for his clients' protection and best interest while holding the deal together when faced with multiple challenges. This specific transaction had several hurdles and I feel confident without his skill set and dedication it would have failed. Thank you Chris and msWoods for seeing this one all the way to the closing table!!  Jacqueline Trout, Trout Realty Co.
Brittany is the rare professional who provides individual attention and spot on advice to clients. I am so happy with my new home and the experience that led me to it, guided expertly by Brittany. I'm admittedly a difficult, picky client from Los Angeles. She handled my needs with precision, I felt completely comfortable buying a home in a new city thanks to her guidance. If a World Series of Real Estate professionals existed, Brittany Woods would be the reigning champion!" Suzanne Green is *hands-down* one of the most talented & professional Realtors around! We are so grateful to have found such a loyal and committed agent to guide us through all aspects of the home-buying process. Her dedication and advanced knowledge & expertise made for a wonderful experience all-around. She got us our DREAM HOME! I strongly recommend using Suzanne whether you are a first or tenth-time homebuyer. She will not let you down! Brittany was very professional, knowledgable and just an awesome person to be around. All of my questions were answered in a timely manner and she made me aware of any deadlines I had to meet. Brittany was always several steps ahead of me and I truly appreciate all of her help." I would highly recommend Denny because, in addition to possessing the qualities that any good realtor should have in the first place--namely knowledge, experience and professionalism--Denny is flat out one of the friendliest people I know. He has wonderful people skills and talks to you as if you've been friends for years, even if you're only meeting for the first time (and it's 100% genuine). And when you're in the throes of an intimidating process like buying or selling a home, you want someone that is approachable and easy to talk to. Denny is that person. He gives you all the time you need and encourages you to ask questions without any belittlement. Denny will work hard to make sure that you have a pleasant and satisfactory real estate transaction. Wow It's not hard to describe the very best. Always available, constant feedback, provides excellent service. 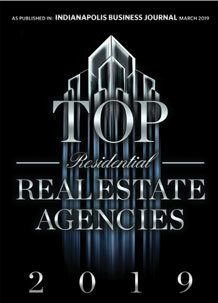 She is tireless in her efforts to market your home or find the just right property for her clients. Five stars." I cannot say enough wonderful things about Brittany! She worked hard to get me and my husband the perfect house that we are now so happy to call home, and we loved working with her throughout the process. She combines the best of professionalism with true relational warmth. We were first-time homebuyers, so we were new to all of this. Brittany was there for us anytime we had questions or concerns or needed encouragement. She made everything very clear and helped us to have peace of mind throughout the ups and downs of the process. She fought hard for us when she needed to, and I knew that I could trust her completely! Plus, she makes the process fun! You can tell she cares deeply about her clients, and we definitely felt more like friends than clients. Brittany is truly exemplary. I would work with her again in a heartbeat and would wholeheartedly and unequivocally recommend her for your next home purchase and/or sale! Thank you, Brittany!" conscientious, professional, thorough, pleasant, hardworking. ms. woods never showed frustration at what turned into a long process. ms. woods made sure to keep me updated and went the extra mile to facilitate agreeable appointments. ms woods far & away makes a daunting experience less stressful." Brittany is by far one of the best realtors in the business. She clearly cares about her clients in a truly personal way while maintaining the utmost professionalism. She quickly earned the trust of my wife and I and was able to help us find our dream home. I recommend her to every person looking to buy or sell a home. I guarantee you will not be disappointed by working with her. She will get you exactly what you want, at the right price, the perfect time, and do it in a way that leaves you loving her and the entire process. Brittany is the BEST!" "I felt very comfortable working with Jason, he provided me with everything I needed to have a enjoyable and virtually stress free experience." "Our paths have crossed with Denny off and on over the last 25 years living here in Plainfield. We found out that he was also a realtor when Denny helped our son find and buy a house three years ago. His was a foreclosed home and Denny was great helping him through that process. Our current need was getting my parents condo sold. They had had to move out the fall of 2014 due to declining health, and, after a listing with a very poor realtor for a long 6 months, I called Denny. He met with my dad right away at the condo on a Saturday, and took pictures the next day, (which is when the previous listing expired). By Monday, he had two new signs in the windows, one lighted to be able to see at night; a box up with information, and, a great video on line for people to see! Needless to say, we had a buyer that first week! Denny was also great with my 86 year old dad, definitely including him as the primary seller, gladly explaining things to him, and also always included my brother and myself. He was quick to answer texts, or return phone calls. Denny is just a very personable, down to earth, honest, professional guy! My husband and I are now currently on his search list for our next place! HIGHLY RECOMMEND DENNY!! THANKS, DENNY!! We were referred to Brittany by a coworker and were so glad that we were!! Brittany helped us find and purchase our current home as well as sell our existing place. We started looking in the Fall of one year, and ended up purchasing our home the summer of the next year. Brittany was very patient with us as we were searching for our house and showed us many places. We were picky and finally found the one we wanted! She really helped us in making an informed decision on what our offer would be. She is so knowledgeable, dedicated and really has your best interest at heart. She's always quick to respond and has the best customer service ethic of anyone I know. We are so grateful for Brittany and highly recommend her to anyone looking to purchase or sell!" Brittany is a consumate professional with a desire to deliver excellent service for her clients. From the day I met Brittany through the completion of my transaction and on numerous occasions since closing Brittany has provided truly outstanding customer service. Brittany had helpful information that was delivered efficiently and effectively every step of the way. Her warm and kind personality compliment her professional competence. I can confidently say that I would highly recommend Brittany's service for any real estate needs. She is a top-notch professional." My husband and I first worked with Brittany almost 15 years ago, when we moved to Fishers from Washington state. Our initial interactions were by phone and email and she was able to educate us on the suburban Indianapolis market. We viewed homes on the MS Woods website and quickly found a home within a week upon our one and only house hunting trip. Brittany was extremely organized, efficient and so pleasant to deal with. Closing was stress free and she negotiated a price far better than we anticipated. Subsequently, we have worked with Brittany on another 2 transactions. My parents purchased a home in Fishers about 12 years ago and then my Mom sold the same property last year. I can't thank Brittany enough for her professionalism and kindness towards my Mom during this emotional experience. She explained everything in great detail and made sure my Mom had plenty of notice for showings. There were a few ups and downs but Brittany was always a ray of sunshine and my Mom completely trusted her judgment. When it comes to negotiating, Brittany is a genius. I have been in sales for many years & there were times I just looked at her in amazement and appreciation of her talents. My husband and I look forward to utilizing Brittany's talents yet again in a few years when we retire and downsize from the home she found for us 15 years ago. We consider ourselves very fortunate to have found Brittany from the start of our life in Indiana! "Jason was a pleasure to work with." Brittany found us the home of our dreams in a great location Brittany also negotiated the price down over $15000 and had the seller replace all the siding. Brittany always called us back fast day or night. But what impressed me the most was the after the close service/ she call use to make sure we had all the taxes filled on time to get the big discounts and checking that all was going well." Pleasent to work with, knowledgeable, positive . Always returned calls, made things happen for both buyer & sellers. Would not hesitate to call denny if I wanted to sell again. Thanks denny it was a pleasure. My wife and I were very impressed with how thorough and knowledgeable Damian was from start to finish. We were relocating out-of-state and needed to sell our home. He coordinated an intelligent plan that resulted in multiple offers within 3 days of listing. He kept us informed and helped with every step even after the "sold" sign went up. He was on top of things when the unexpected bumps occurred and saw us through till the end. Although it's difficult for me to rate the attributes of Beverly (since it would be relative to other agents and I've only worked with her), I am very satisfied with my experience working with her. She seemed to know what she was doing; experienced. She also really held my hand and checked in with me often. I didn't understand the process and she was really helpful. She had great ideas when it came time to negotiate; ideas I would have never thought of or had heard about others doing. She also was really organized with 'worksheets' that helped me figure out who to call for inspections, utilities, etc. I would recommend her! Diana was wonderful to work with! She was always there whenever we needed her and she provided the expertise we were looking for when searching for our home. We highly recommend her! She goes above and beyond foe her clients. We had issues with a couple of things in our home after our closing and she made sure they were taken care of even though it was not her responsibility. She is always quick to respond and very accommodating. Kathy helped me sell my condo on the West side of Indianapolis. She knew the area well enough to price my condo right, and as a result it sold much faster than several other condos posted in the same division. She helped me to understand that you have to price your home at what the market will pay, not at what you think your home is worth. She went on to help me find a very nice home in Broad Ripple, which I ended up buying for a fair price. Thanks, Kathy! Beverly was willing to show me lots of homes and would schedule showings for less than 24 hours after I requested and was willing to stay out with me as long as needed. She never pushed me to go above my price range and even helped me realize that the most expensive house I liked wasn't really my style. I upped my price twice during the search (totally my own decision) and she was patient and always ready to go out and explore more houses! Beverly became our agent in our search for a new home when we contacted her to see a property she had listed. We felt Beverly immediately connected with us. She never pressured us and used every opportunity that we looked at a home to learn what we wanted in our home. Beverly always responded to our questions very promptly as if she was on call for us at all times. She made arrangements for any property we wanted to see quickly and always went around our crazy schedule. Beverly also made suggestions for homes for us to see and her suggestions were spot on with what we were looking for. Once we had decided to make an offer, Beverly helped us understand everything, every step of the way. We felt that she watched out for our best interests and followed up with everyone involved constantly. The process went very smoothly the entire time thanks to Beverly's efforts. When we were close to our closing date, a delay came up and we thought our closing date would change. Beverly jumped in immediately advocating for the closing date we wanted - and we got it. We would highly recommend working with Beverly to buy or sell your home. "Jason is very caring about his clients, he was thoughtful and really helped us with getting what we truly needed in a first home for our family." Absolutely wonderful house hunting/purchase with Kathleen! She targeted homes in my preferred areas, my price range, and with the amenities I required. She had the local knowledge and expertise required to make the process seamless. Her responsiveness and negotiation skills allowed me to purchase the home of my dreams. Not only was he able to help us find the perfect house we were looking for but he also helped to sell our house. He did an excellent job and both the buying and selling process. denny was an excellent realtor to work with on the purchase of my first home. although he wasn't familiar with the downtown indianapolis area, denny did his homework and quickly learned the area to help me get into my first home. he always responded to my emails, phone calls, and texts in a timely manner. he went above and beyond to schedule showings and was available during all hours of the week, including weekends. i would highly recommend using denny as your realtor whether you're buying or selling a house. Having been in the military, we are no strangers to the moving and house buying process. I have never had a realtor take care of us so comprehensively as Brittany. She was in constant contact with us throughout the process and even after we closed. She has helped us navigate issues after closing where most other realtors would have considered their part done once we signed on the dotted line. She truly had our best interests in mind and I wholeheartedly recommend her and will use her in the future." I've used Kathy on four deals (two selling and two buying). Regardless of which side of the fence she's on, she's taken great care of us. Her negotiating skills are masterful, to say the least. I've recommended Kathy to friends and family and so far, no one has been disappointed. I highly recommend Kathy! Bev is not your run-of-the-mill realtor. She goes above and beyond; you are a part of her family just as she is yours. My husband and I brought her on board when we decided to buy our first home in 2012. We loved our experience so much, that when we decided to move out of state 5 years later, we asked for her services once again. We couldn't be happier with either decision. She navigated us through a world we knew nothing about. We bought our first home through her, we sold our first home through her, and we gained a lifelong relationship in that time. If we could, we would hire her on for our next journey in life, but unfortunately for you and the rest of the 49 states, she's only licensed in one! You will not be disappointed if you choose Bev for all of your buying and selling needs. A realtor like her doesn't come around often! Suzanne has demonstrated to me over the course of 10 plus years that she is knowledgeable, trust-worthy, and probably the best darn real estate professional I have ever known. I have sold 2 (and just sold my 3rd) homes with Suzanne and bought two (soon to be 3)! She a highly skilled negotiator. and has demonstrated to me that she can navigate even some of the more treacherous transactions (short sales and bank owned homes). I recommend Suzanne without even a millisecond of hesitation. Bev was awesome! My boyfriend and I were first time home buyers with some restrictions, but Bev helped us throughout the whole process and made sure we got what we wanted. She always responded quickly and answered our oh so many questions.